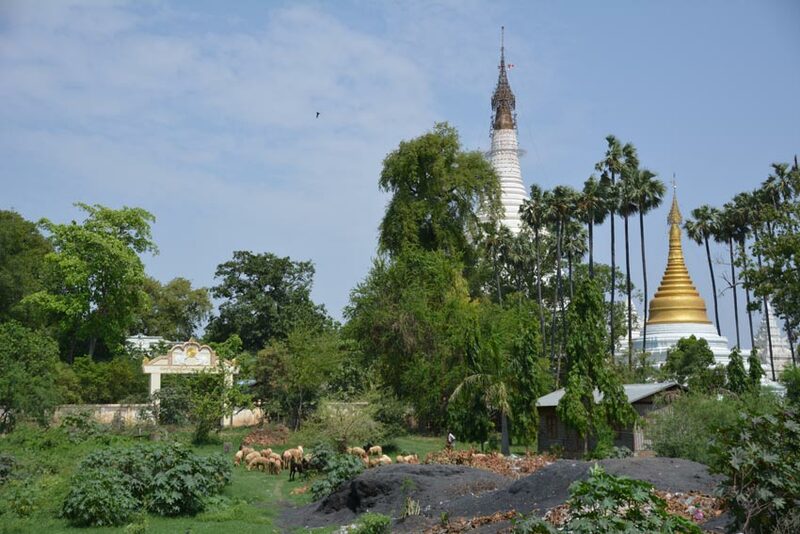 We only have one full day in Mandalay, and we are going to make the most of it. We have found two motorbike drivers, (an uncle and his nephew), who are going to take us on a 10-hour trip around the entire city and its surrounding areas. Motorbikes are banned in Myanmar’s largest city, Yangon, so just the site of motorbikes is different here in Mandalay. 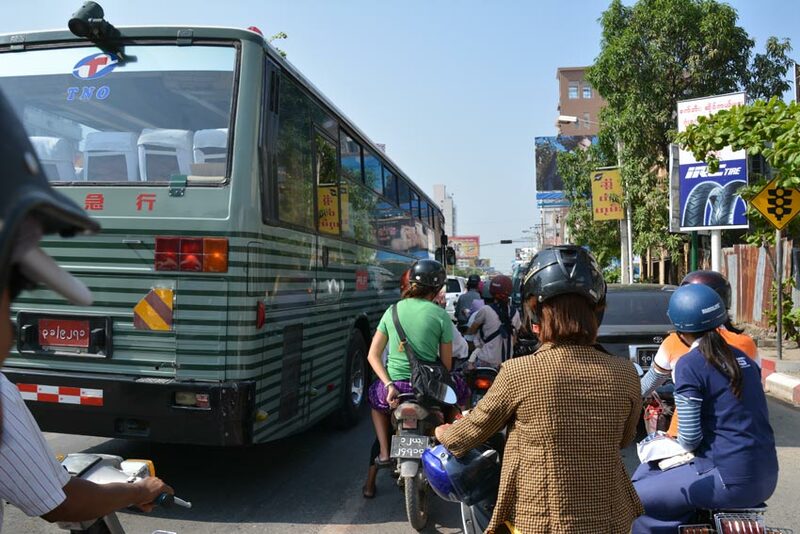 It is amazing just how much more chaotic traffic looks with motorbikes compared to cities where there are none. The good news is that our drivers have provided us each with a helmet. Amazingly, the helmets are pretty new, and fit nicely. Something that was rare in other cities where we road motorbike taxis (i.e. Pattaya, Thailand). The ride from our hotel out of the city center reminds me of Back to the Future simulator ride at Universal Studios Florida where you are constantly feeling like your are going to his an obstacle, and then Doc steers the time machine to dodge it at the very last moment. Our next stop is the area of town known for its skilled hand craft workers. The streets here are really interesting to see. 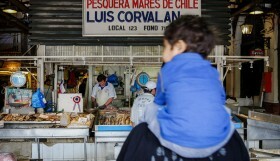 Each street has its own specialty trade that each family works in. 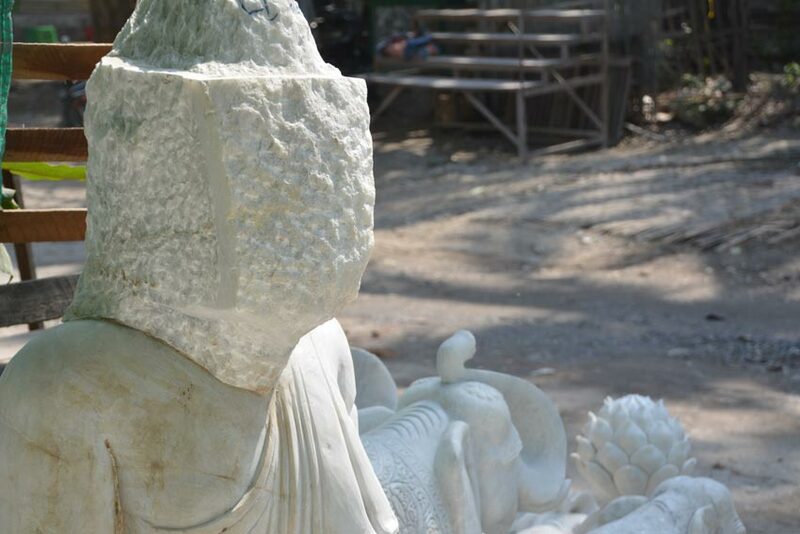 First we see the marble stone carvers, then the bronze casters and sculptures, then longyi screen printers. Each housefront is also a workshop, and we walk from shop to shop, watching their incredible skill at work. My favorite are the marble statues that have everything finished except the head. 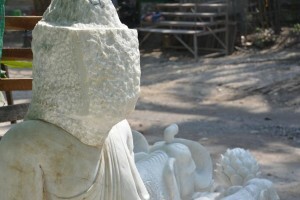 The head is left for the best of the best sculptures who are able to create pristine faces and heads. It’s odd to see such beautiful statues with nothing for a head but a slab of jagged rock. One of the things that does bother us a bit is seeing some really young children working. 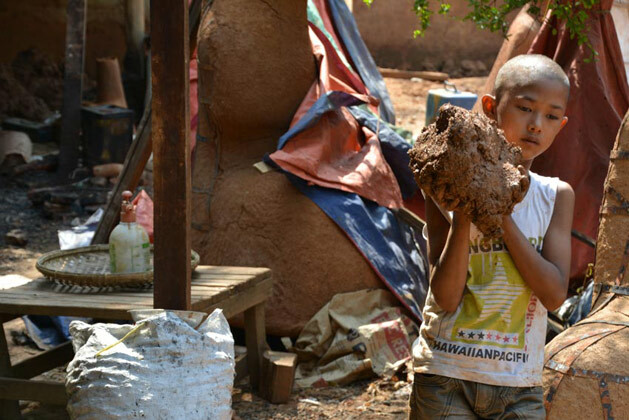 It’s the middle of the day on a weekday, while kids in other parts of the world are in school, these kids are moving around big pieces of rocks and dirt. For a guy who as a kid used to complain about emptying a machine that just finished cleaning my dishes, it’s pretty humbling. 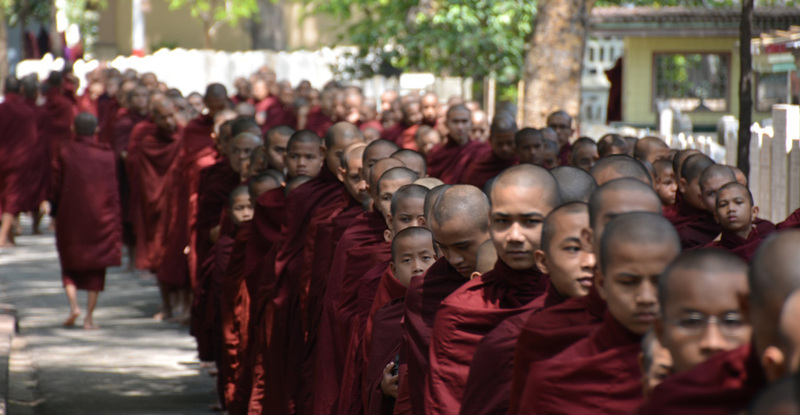 We head to one of Myanmar’s largest monasteries, where guests are invited to watch the novices and monks line up to eat. As you know from my thoughts on “monk tourism” in Laos, I am not a fan of tour companies turning monk’s daily activities into a tourist attraction. The site of seeing 1,000 or so monks lining up to eat is pretty cool, but I wish we could do it from further away. There were probably 15 other tourists there at this same time, and it sounds like it is even worse in the tourism high season. We’ve read other reports of tourists behaving disrespectful here, but compared to what we saw in Luang Prabang, the tourists here were very respectful. After watching the monks eat (they eat at 10am since they are forbidden to eat after 12 noon), we ask the motor bike drivers to take us to one of their favorite local restaurants. 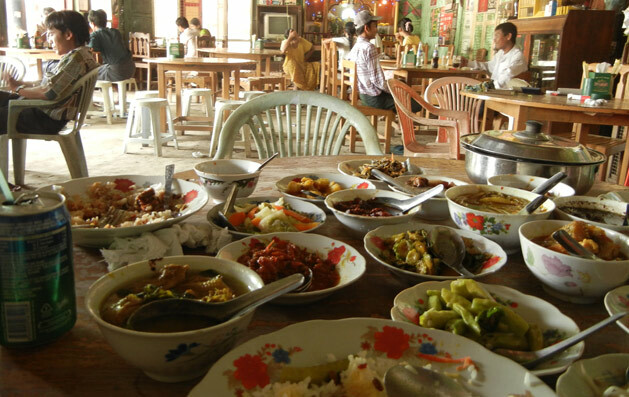 We experienced a traditional Myanmar family dinner in Bagan, so we were eager to try some more local cuisine. The meal format is unique and something we haven’t tried yet in a restaurant. We are each given a bowl of white rice. They then proceed to bring out about 10 different dishes and 2 soups. Each dish is unique and the idea is to mix and match the dishes so that eacb bite is different. Dishes include tea leaf salad, fried mutton curry, fish noodle soup, and more! They also bring out some hot pepper fish paste for me, which I grew an affection for in Bagan about a week ago. Anytime we finish a bowl, or it’s even remotely looking low, a brand new bowl is brought out from the back. At first, this is great. But soon we are both stuffed with food, staring at a table of full dishes. I am split between hoping this food doesn’t go to waste, and hoping we weren’t served food that was previously at someone else’s table. Our longest ride of the day takes us across the Irrawady River via the U Bien bridge. 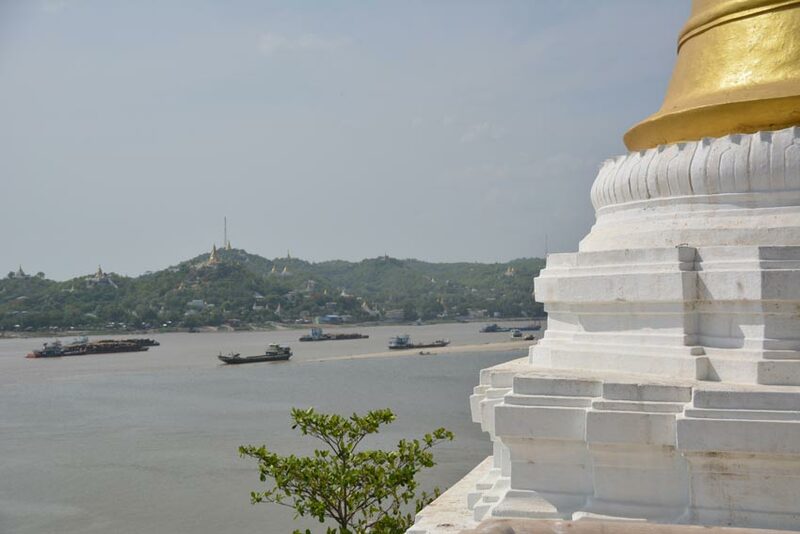 We arrive at the foot of the Sagaing Hilltop and are pointed over to some steps. 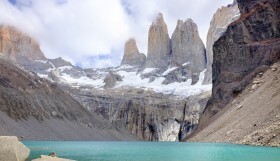 Our guide tells us it’s about a 15 minute walk to the top. It takes us 30. The view is as spectacular as described. One of the better views we’ve had on this trip, and if it wasn’t 103 degrees F and sunny up here, we would probably stay longer than 10 minutes. At least the stairs have a canopy covering them. Otherwise we might have needed an airlift out of here! 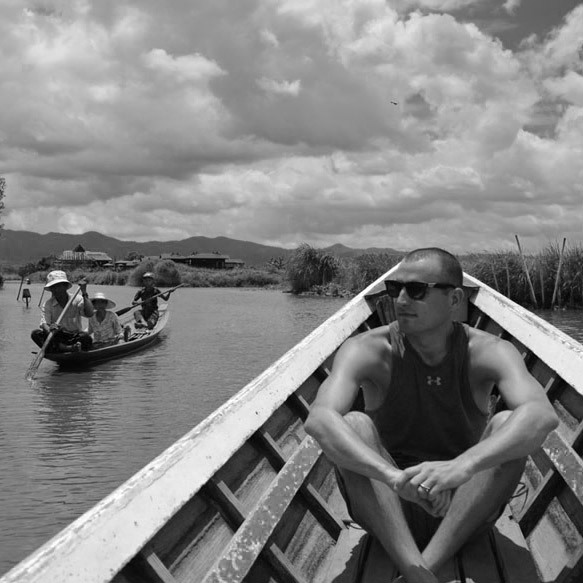 Are next stop is at a local floating village. Although, since we are here at the very beginning of rainy season, the village is still very dry. It’s still cool to see it like this though, as many of the houses are built on stilts. Our motorbike guide points out that the houses that are not on stilts are those of the poorest villagers. 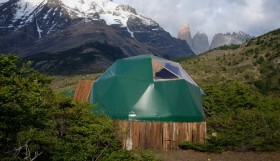 These unfortunate people move up onto the road for three months out of the year and live in tents. 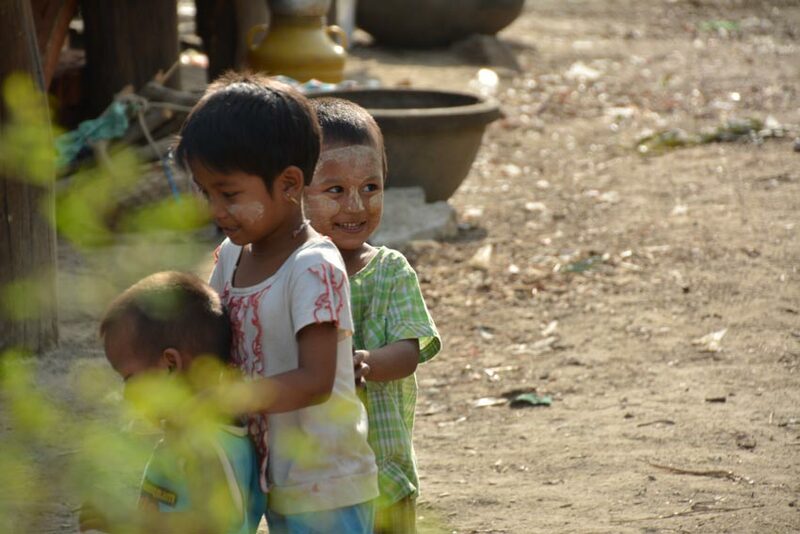 Just like the streets in the urban areas of Mandalay, each village seems to be supported by a certain trade. 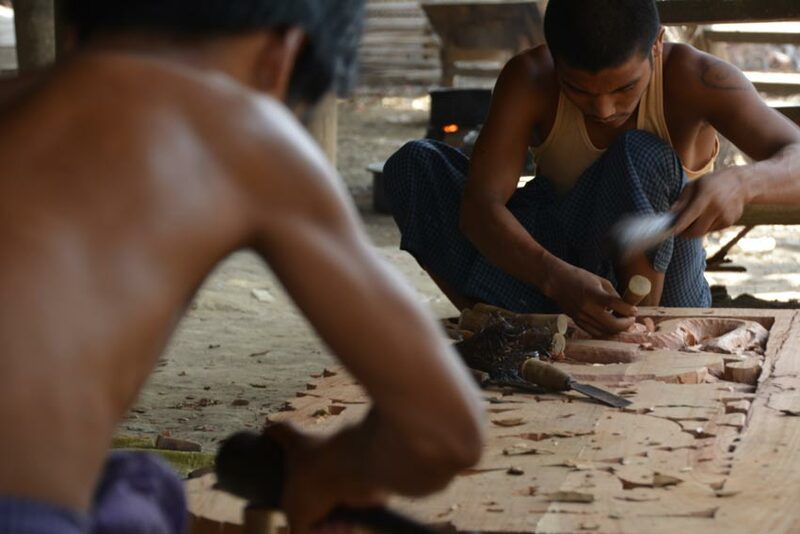 This particular village is filled with skilled wood carvers, and we watch in awe at some of them hard at work. They export their furniture to the high-end hotels and luxury houses all over the country. The people we meet here are some of the most excited and authentic Burmese that we’ve ran into so far on our trip. Especially the children. Everyone here wants their picture taken so they can see it on my viewfinder. If I only I had a printer and could make some of these parents some printed out portraits of their children. Something that we in the United States take for granted. The best experience occurs when I photograph a lady who appears to be in her late 70’s. After I show her the picture on my camera, her and her grown daughter begin insisting I take a photo of her granddaughter. The granddaughter is very shy, and she finally agrees. When I walk the camera back to the grandmother and show her the picture, she lights up with a level of excitement and joy that I haven’t seen in a long time. 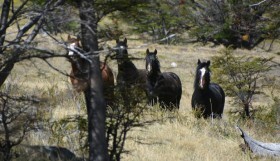 One of my favorite experiences on the trip so far. 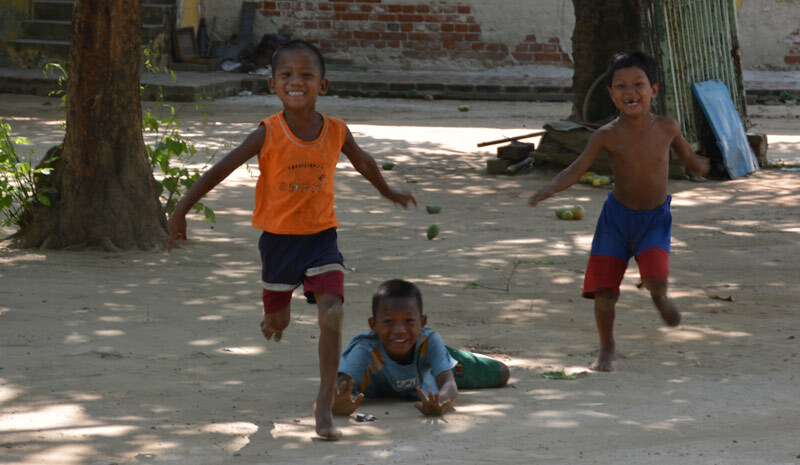 In the village, we also spend some time playing football(soccer) with the kids. 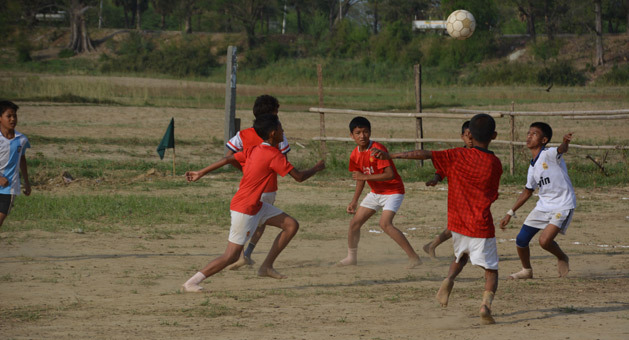 There seems to be some sort of tournament going on, as a game begins a few minutes later with a referee and a decent crowd of local villagers. It’s amazing how good these kids are. The floating village was our last stop of the day. 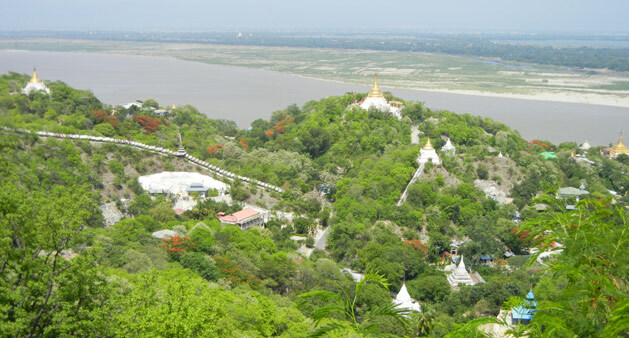 The motorbike tour is the best one-day tour you can do in Mandalay if you are traveling here independently. If there are particular spots around the city you want to see, motorbike drivers are very accommodating and will take visitors pretty much anywhere. For example, we first asked the driver to take us to the train station to buy a ticket for tomorrow, and that was no problem. I also said I was interested in visting a village that doesn’t get tourists, and they found the floating village for us.